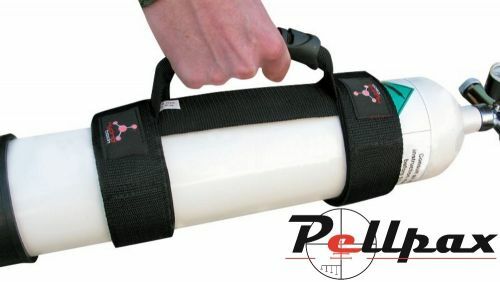 A high quality webbed carry handle for most airgun charging cylinders. The strong black webbing provides good support around the front and the back of the bottle, ensuring that it is not damaged when being carried. the 2 velcro straps are adjustable to cater for many different bottle sizes. Add this item to your basket & spend an extra £487.01 to apply for finance.